Earlier this month, ABC cancelled the hit sitcom Last Man Standing after six seasons, despite the fact that the show was enjoyed by millions of people and consistently got high ratings. Tim Allen played Mike Baxter, a conservative-minded husband and father of three. Even though Allen has admitted on several occasions that the show was written by liberal writers, the program especially appealed to conservative Americans and blue-collar workers because of the right leaning slant that was on display in nearly every episode. In the sixth season, for instance, Mike Baxter is reviewing a speech that he wrote for his daughter’s graduation. “To quote future Nobel Prize winner Lee Greenwood, ‘I’m proud to be an American.’ Not just because I have the right to speak my mind or carry an awesome gun, but because it’s the land of opportunity,” Baxter declares. “Some whiny babies might not think so, but in America, if you work hard, anyone can be successful.” Tim Allen’s character then went on to hilariously mock “microagressions” and political correctness. When ABC announced that the sitcom had been cancelled, many conservatives and fans of the show immediately speculated that it was for political reasons. More than likely, the network wanted to maintain its traditional left wing identity and disassociate from anything even remotely conservative in the age of Donald Trump. If this is indeed what happened, it demonstrates that ABC cares more about stomping out the conservative message than it does making money and gaining viewers. 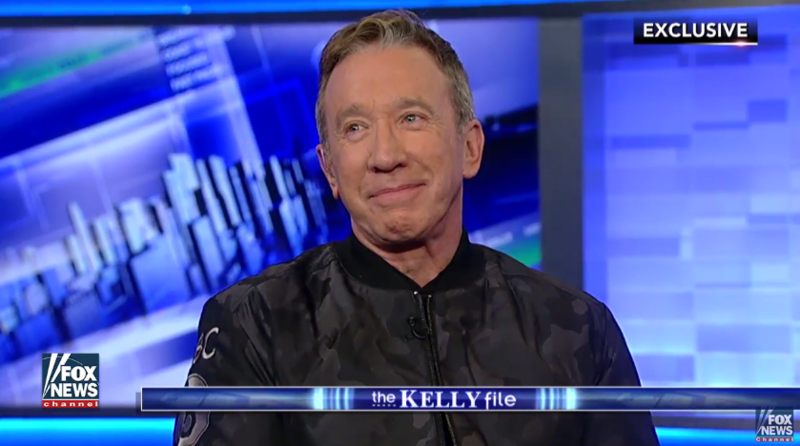 Like the character he plays, Tim Allen himself is a known conservative and certainly hasn’t shied away from speaking his mind in the past. In an appearance on Jimmy Kimmel in March of this year, Allen talked about how he attended the inauguration of President Donald Trump before remembering that he wasn’t exactly surrounded by like-minded individuals. “You gotta be real careful around here,” he said. “You get beat up if you don’t believe what everybody else believes. This is like ‘30s Germany.” Allen was referring to Hollywood’s overwhelming progressive slant, and making a joke out of the very real fact that conservatives really aren’t accepted in the land of red carpets and movie premieres. In addition to widespread outrage on social media, multiple petitions have already been started to try to get ABC or another network to bring Last Man Standing back to television. One petition, which started on Change.org, has generated over 10,000 signatures. It’s a known fact that the majority of Hollywood consists of left wing writers, producers, actors and actresses. But if nothing else, what the outrage over the cancellation of Last Man Standing tells us is that the American people are in desperate need of some relief from the one-sided, left wing bias we see all the time in the world of television.